In brief: Researchers from Michigan State University believe transparent solar panels have the potential to generate just as much solar power as rooftop solar panels. When used effectively, they could at full implementation provide 40 percent of electricity in the U.S. Solar panels and solar power-generating windows are a couple of things people have come up with to take advantage of the Sun, but now a team of engineering researchers from Michigan State University (MSU) have proposed the use of transparent solar panels. Combined with rooftop panels, our reliance on fossil fuels could be greatly reduced and we’d be close to meeting the United States’ high electricity demand. Led by Richard Lunt, the Johansen Crosby Endowed Associate Professor of Chemical Engineering and Materials Science at MSU, the team created a transparent luminescent solar concentrator that could generate solar energy on any clear surface without affecting the view. In theory, it could be applied to cell phones, windows, buildings, and cars. Currently, according to Lunt and his team, only 1.5 percent of electricity in the U.S. is generated by solar power. Transparent solar panels, however, could account for 40 percent of electricity, provided its used on the 5-7 billion square meters of glass surface in the country — something that’s unlikely to happen anytime soon. Before they can even be considered, they need to be more efficient. 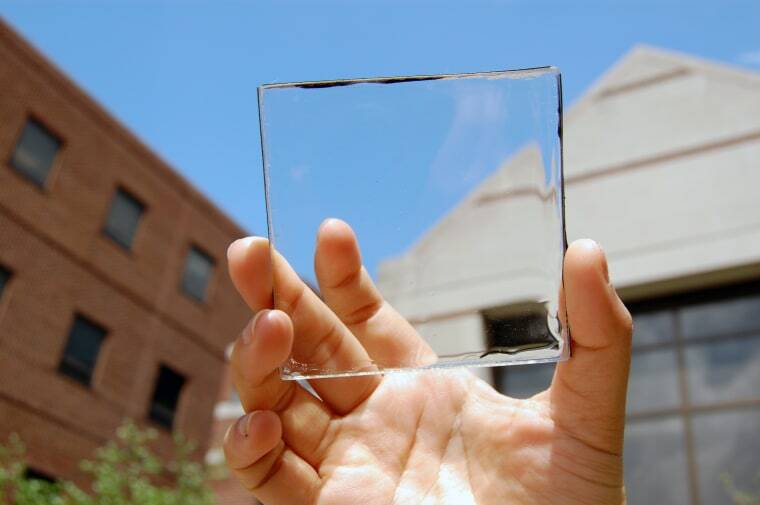 Compared to solar panel’s 15 percent efficiency, transparent panels are only 5 percent efficient. Despite this, Lunt states that transparent panels are only about a third of the way into their full potential after five years’ research. Going forward, work will be done to improve the panel’s capabilities, though they’re not expected to outperform or replace the traditional solar panels we’ve become accustomed to. “Ultimately, this technology offers a promising route to inexpensive, widespread solar adoption on small and large surfaces that were previously inaccessible,” added Lunt.